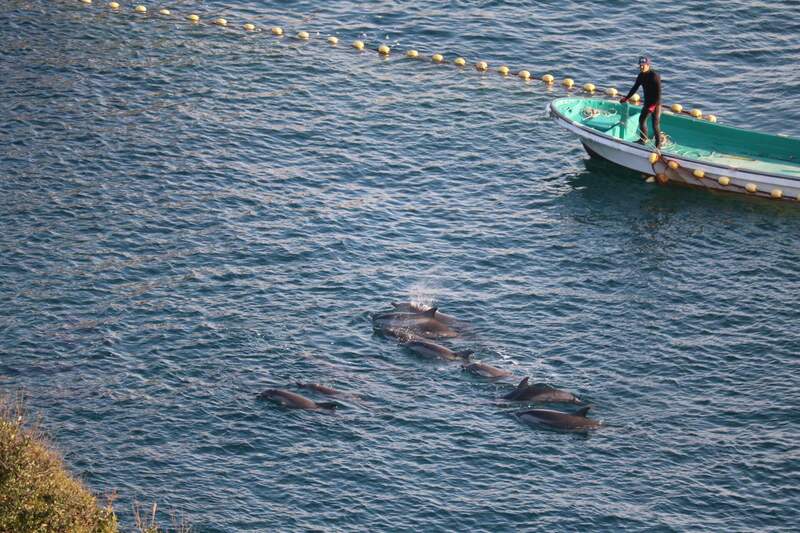 A ‘superpod’ of around 300 dolphins has been captured by hunters in the cove near the infamous town of Taiji, Japan. Since their capture, the dolphins are being subject to a selection process by divers who will decide which dolphins should be sold to marine parks and those that will be slaughtered. The dolphins can fetch over £20,000 when sold to the captivity industry. Footage of the capture, and subsequent abuse, has been live streamed by welfare groups working in Taiji in the hope that something might be done to prevent this annual slaughter. The drive hunt season in Taiji, Japan runs from 1 September through to April or beyond. Curtains are pulled across the shoreline to hide the killing process from the public. Dolphins suffer extreme pain and stress and many dolphins selected for transportation to marine theme parks die of shock before they are taken away. We are calling on airlines to stop carrying live dolphins, and especially those captured in the cruel Japanese hunts. As the demand from countries such as China increases, we need to break the chain by stopping the transport of these dolphins.